It was my first year in medical school. My wife was 35 weeks pregnant and her blood pressure was elevated, she was spilling protein in her urine and we were sitting in her doctor’s office for our weekly check. As the doctor entered the exam room…our roller coaster began. He said that my wife’s blood pressure was way too high (190/110) and the protein in her urine was equally as high (4+). She was fully pre-eclamptic and needed immediate hospital admission and delivery. Unfortunately, within hours her blood pressure continued to rise (230/120), her liver enzymes were highly elevated, and her platelets (cells that clot) were dropping to critical levels. She was going to need a STAT C/S under general anesthesia. I knew enough as a first year med student to be scared…but not enough to panic…My wife was very sick, and I was going to have a premature daughter. My daughter was delivered and required 15 minutes of aggressive resuscitation from the neonatologist and her team due to the general anesthetic and the extremely high levels of Magnesium Sulfate. As they wheeled her out in the incubator I was able to see her for a moment in route to the nursery. Then I watched the process of her medical care from the window of the nursery and all I wanted to do was hold her. But before that, she was in the NICU and so were we. Having and caring for a premature infant is different in many ways. It can be scary, intimidating, and at times overwhelming, but in the end extremely rewarding. The time in the NICU (neonatal intensive care unit) is probably the most frustrating time for parents because of the day to day travel to the hospital and not being able to take their baby home. The day to day intensive care may involve ventilator support, intravenous fluids and nutrition, and slow initiation of oral feedings in which all are a constant reminder to parents just how critical their babies life is. Depending on the size and gestational age of the premature infants depends on the level, intensity, and duration of interventive care. The more premature the infant, the more intense the care. 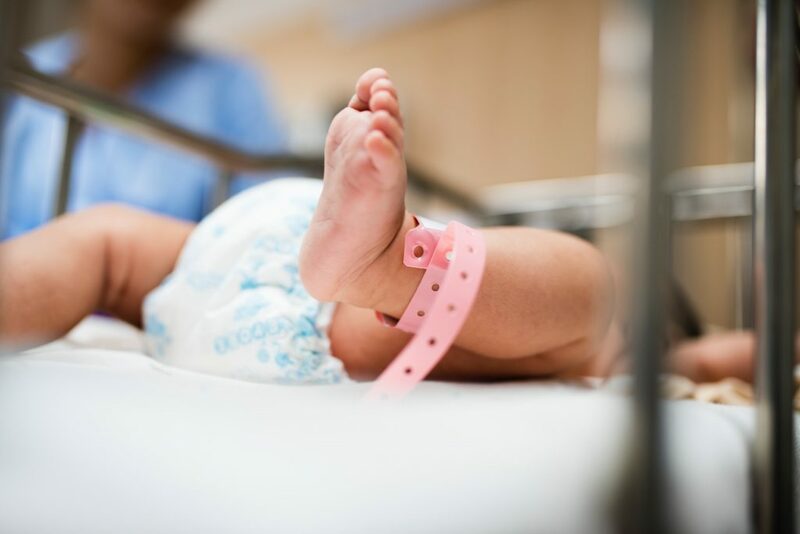 Birth defects or genetic syndromes, complications during pregnancy, and complications around delivery can all have profound effects on the level and duration of care of the premature infant. On a practical note, the stay in the NICU can be a long road to start. A rule of thumb for the duration of a preterm infant stay in the NICU is 36 weeks minus the number of weeks premature. For example, a 24 week preterm infant will likely stay (36 – 24) = 12 weeks in the NICU. That time may vary depending on the complications or illnesses that their preemie may face. The good news is that nowadays medical care has significantly improved the survival and reduced the morbidity (complications) of premature infants. NICUs have also improved their skill in educating and involving the parents of their preemie’s care. Now there are programs promoting skin to skin contact, CPR classes, SIDS classes, infant care classes, and periods of rooming in where the parents are caring for their babies in the hospital setting prior to going home. Once a premature infant comes home, it is a pretty big shock to most parents and kind of ironic to me. Here we have this once premature and critically ill baby hooked to heart and oxygen monitors being cared for by trained nursing staff and physicians, are then disconnected and sent home to be taken care of by parents. Wow! It is a rude awakening that premature infants are definitely more difficult to care for. Outside of any additional health problems like seizures, deformities, heart defects, or lung problems, premature babies are at higher risk of other problems. First, premature infants are at higher risk of sudden infant death syndrome (SIDS). There are, however, no good way of monitoring infants to prevent this condition. Apnea monitors, oxygen meters, and movement monitors all have not proven to decrease the incidence of SIDS…so save your money. What we do know that does help is not allowing the infants to sleep on their stomach, remove heavy blankets and soft bedding, encouraging the infants to sleep in the parents’ room, and not sleeping with parents or co-sleeping. The second issue premature infants have commonly is an interrupted awake sleep cycle. Preemies are frequently exposed to interrupted sleep due to care, irregular luminescence, and become accustomed to the NICU routine. Parents find themselves frustrated with moving the babies to a family routine. What helps with these problems is gradually moving the infant’s sleep, care, and feeding times into the family or home routines. At night…do it in the dark…Feeding and changing in the dark as much as possible. During the day, keep the lights on, make noise, and daily cares in full luminescence or light. This will eventually reset the Pineal gland in the brain and allow the infant to come into a normal pattern of days and nights. Third, premature infants for some time need to keep a three-hour feeding schedule. Preemies need a certain number of calories to grow and there are only a certain number of hours in the day and they usually have a limit to the volume they can take in at a certain time. For this reason, many preemies will be discharged on human milk fortifier for breast milk or a higher calorie formula. Be sure to follow your pediatrician’s recommendations for feeding your preemie as they will be based on the infant’s growth and ability to take in adequate volumes. Preemies love to sleep… unfortunately just not when you want them to. They will sleep through feedings if allowed, and this can be a challenge for a lot of parents who like to sleep. This too shall pass! Preemies also have a tendency to become constipated. Many have a tendency to have reduced gastric motility and some may be on high calorie formula all playing a role in constipation. Breast milk feeding may help reduce this in preemies as well as term infants. It will be important to consult your pediatrician early if this seems to be a problem. Premature infants also have a tendency to have frequent spit ups or Gastroesophageal reflux. Once again, due to their immaturity, this can be a prolonged and recurrent problem. Usually, frequent burping, feeding in an upright position, leaving upright or on the left side (while awake) for 10-20 minutes after feeding may help with the spit ups. More aggressive interventions are reserved for weight loss, poor weight gain, or the severely irritable infant. Your pediatrician should be able to handle most of the reflux issues your preemie may have. Premature infants develop at different rates than term infants (>37 weeks gestation). So, you shouldn’t feel like something is wrong with your baby because they are doing something later than a term infant. Another rule of thumb is that most infants lag behind in development by 38-40 weeks minus the number of weeks premature. So, a 24-week preemie may lag in normal infant development by 12-16 weeks. In other words, a 24-week preemie may not be expected to walk until 15-16 months rather than at 12 months in which a term infant may walk. All preemies less than 32 weeks should be followed by a developmental pediatrician where available due to the higher risk of developmental and cognitive delays. They should also start an early intervention program consisting of Occupational, Speech, and Physical therapies. Feeding a preemie will also follow the same general rule. Solids are usually introduced 4-6 months of age for the term infant, that process will likely be delayed by the same number of weeks the infant was premature. Once again, for example, a 12-month term infant is usually ready to wean off the bottle, go to whole milk, and start table foods. A 24-week preemie will likely not be ready until they are closer to 15-16 months of age. One thing we do for premature infants at the same time as term infants is their vaccinations. This is imperative because preemies are more susceptible to infections of all kinds. It is also important to shelter the premature infants (from excessive crowds or visitors) for a longer period over term infants, follow the recommended vaccination schedule, and be a bit more conscious of fevers in the first few months out of the nursery. Some premature infants may qualify for RSV (Respiratory Syncytial Virus) prevention as they are at higher risk of complications from RSV. Be sure to ask any well visitor to use disinfecting soap and not to cough or sneeze on them. If one is sick, thank them but graciously tell them you look forward to seeing them later. Skype if you really want to introduce them! In spite of their increased risks and demanding care, most premature infants live happy, healthy, and normal lives. However, as some preemies grow older and enter the school age they may be at higher risk of developmental, cognitive, and learning delays. They may also have increased risk for ADHD (attention deficit hyperactivity disorder). If difficulties with reading, math, attention, focus, and early troubles in school are noticed, early and thorough evaluations by qualified psychologists, counselors, developmentalists, and your pediatrician are warranted. My daughter is now 27 years old. She struggled in elementary and junior high school, but with love, patience, guidance, and the grace of God, she has completed her Bachelor’s in Child and Adolescent Psychology, Her Master’s Degree in Health Care Administration, and has just completed her first year in Medical School. Not bad, for a once premature infant. Hopefully, you will not have to care for a premature infant. If you do, I trust that this article will help educate and prepare you for caring for your special preemie.